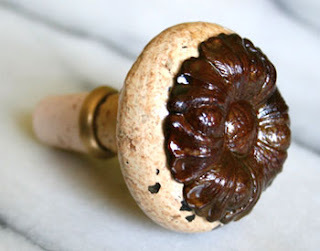 If you are looking for a more unique gift for Valentine's Day, then check out the vintage door knob wine stoppers from Knobstoppers. Chocolate and flowers may be nice, but I'd much rather prefer a bottle of my favorite wine and a wine stopper to keep it fresh after opening. 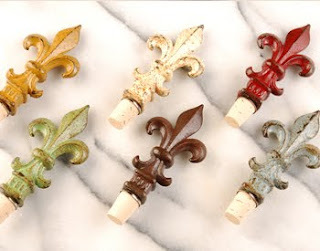 The wine stoppers vary in color and design, and are handcrafted with a hardwood reinforced cork for durability. 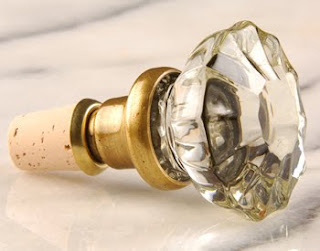 My favorite wine stopper is the glass doorknob. Since I was young I had always admired glass doorknobs. They are just so beautiful and vintage. The glass doorknob fit perfectly on a bottle of merlot I had opened. I used to hate not finishing a bottle of wine, but now I definitely don't mind it when I can accessorize the bottle with a vintage winestopper and add some character to it. 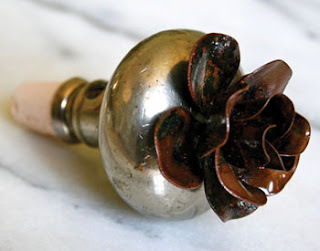 Other vintage wine stoppers include the floral embellished rustic or brass Italian rosettes or rustic heirloom rose, which are adorned with metal. Another favorite of mine is the Fleur de Lis, crafted from actual iron gate finials. These unique winestoppers are hand-aged and painted. 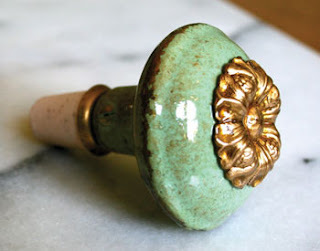 If you prefers classics, you can opt for the painted or plain metal doorknobs. 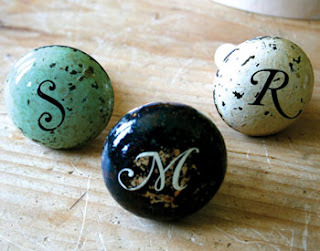 You can choose white or black porcelain doorknobs with a single monogram, or have a double monogram applied. The wine stoppers range from $22-$36. 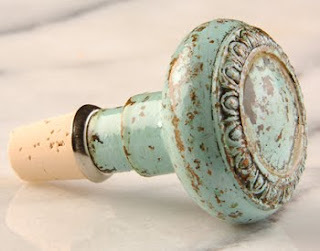 Vintage candle stoppers (hold taper candles) are also available for $32. There's still time to get a gift for yourself, a friend or the one you love for Valentine's Day - you can shop at knobstoppers.com. I first learned about Knobstoppers when I attended the New York International Gift Fair in September 2009. 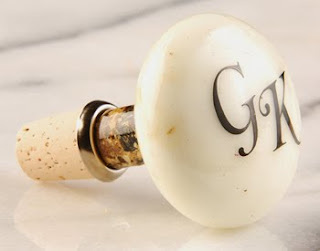 Watch this video clip to learn more about Knobstoppers and the vintage wine stoppers.